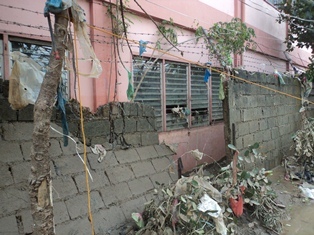 By the grace of God, two weeks after the HABAGAT (Philippine typhoon of August 6-8, 2012) flooded Brookside, Bagong Silangan, up to the roofs of 300 houses, the residents are now slowly picking up their lives, thanks to many donors’ generosity. 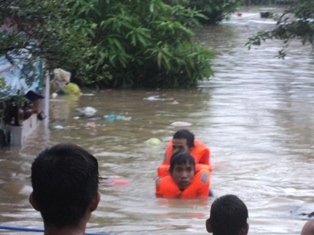 All donations are sent immediately to partially provide the immediate needs of the flood victims and somehow alleviate the pain and suffering of the people. 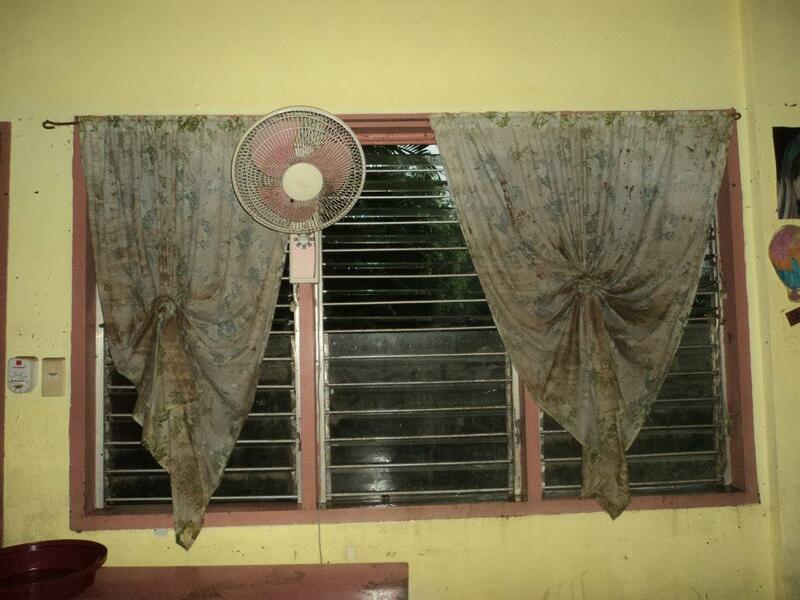 Donations received so far were not enough to replace the broken windows of classrooms in Stella Maris Alternative School (SMAS). 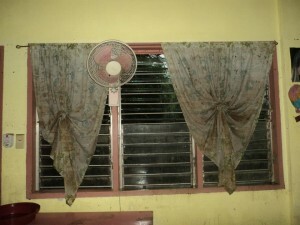 The school is still so dirty too that it is not possible to hold classes as of this writing. We still need donations to help the residents of Brookside! 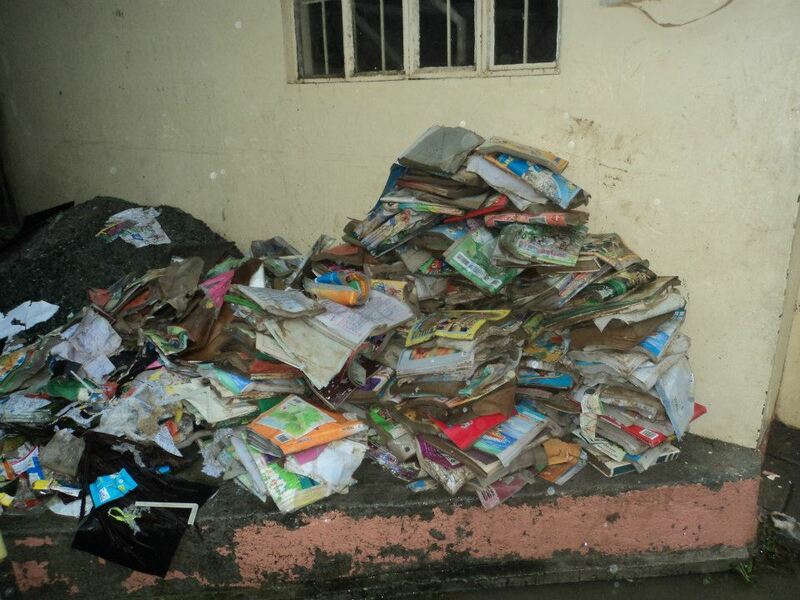 All the books in their library were rendered useless by the floods and they need to be replaced soon for the children’s sake. Also, people couldn’t go back to work for a living yet. Whether cash or checks, all donations are tax deductible if made payable to New East,Inc. (ref: Contact us). PLEASE DONATE and kindly spread the word to kindhearted people you know. We wish to thank all our donors the months of July and August 2012. Without your help, there could have been so little or no progress at all with the rehabilitation process after the floods in the community of Brookside, Bagong Silangan. 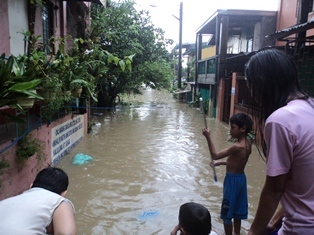 Gonzalo & Emma Vergara Jr.
BROOKSIDE, BAGONG SILANGAN ALL UNDER WATER ! SOS ! Just to let you know what is happening now in Brookside, Bagong Silangan. 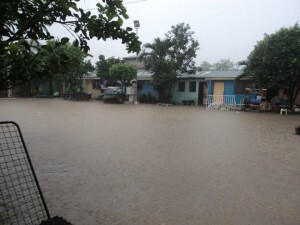 After almost three weeks of continuous rains, the flood has reached critical proportions…. it has now covered all the houses down in the alleys up to the roofs while at this time, the water continues to rise and reaching now the main road….The school’s first floor and the library are covered with water. We just pray it will not reach the second floor to protect our things and our computers. Some of the books have been destroyed (again!!!) and were not saved! People have initially evacuated to the Multipurpose building… more than hundred families, but we have now transferred them to the nearby subdivision of Filinvest Heights which has a big covered court in their place. The Filinvest Heights residents were so generous in providing all the food and other amenities including the cars that brought the people there. It is about ten minutes ride to their place. Right now, the flood victims are in dire need of rice and blankets. But the bigger task will again be the rehabilitation as all their things are again destroyed by the floods. The typhoon Ondoy in 2009 was really a typhoon and came in so suddenly. This time, it is the monsoon rains but what precipitated so much rain was that the typhoon which is supposed to leave the Philippines going to Taiwan is dragging the monsoon and causing all these rains. The rivers have overflowed; also the dams…. the whole Luzon island and parts of Mindanao are affected. Please continue to pray for us. Thanks. 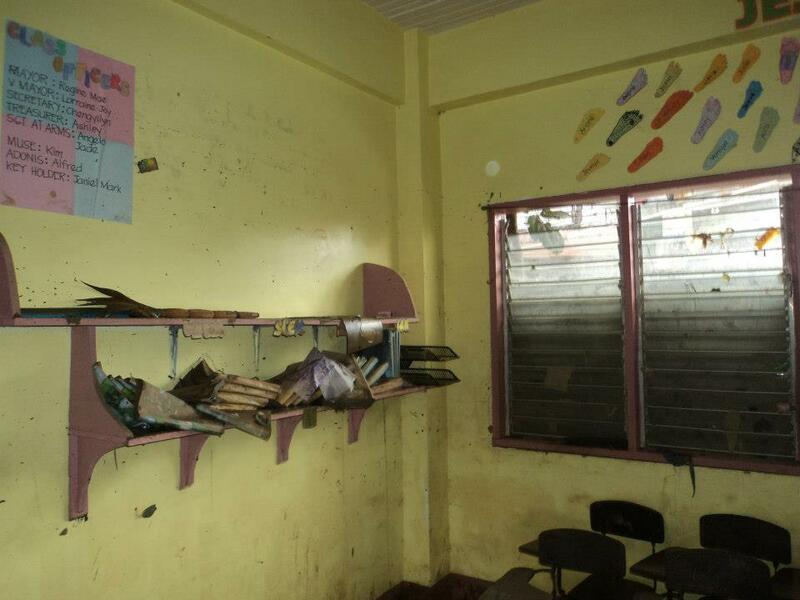 Additional news from Sr. Elvie: The wall between the creek and SMAS , the elementary school in Brookside, Bagong Silangan, gave way to the high pressure of inundating brook. 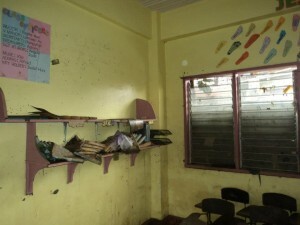 The wall fell on one of the classrooms; hence, broke all its windows. 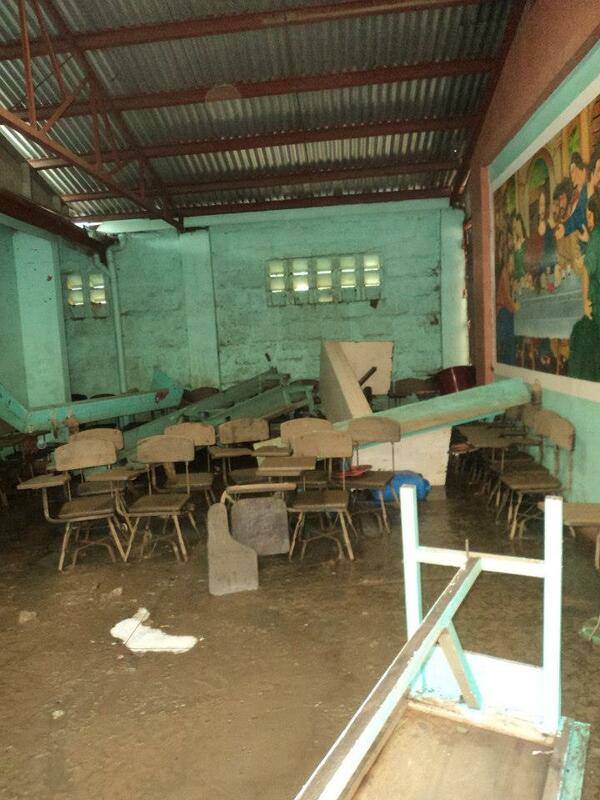 Sr. Elvie further emailed that they are looking for a permanent solution to this repetitive flooding (almost yearly!). They are weighing two possibilities: namely, relocation of all residents or building second floors to all 300 houses in BS. The former seems to be too costly, so they might opt for the second solution, putting a second floor to each house. The recent BIRO/CCPO reunion on July 28, 2012, was a success in every sense of the word because all of you who attended have made it a happy and memorable one. Forty-two BIRO/CCPO ex-employees and seventy-three people, all in all, were at the Sweetwater Regional Park, San Diego, California, that beautiful, sunny day! My special thanks to all my co-coordinators for their special help, namely: Efrie Basa, Jing Segundo Sharratt, Tessie Cannonizado Layug, Mary Cristal, Lei Daplas Concha, Pat Espejo, Ester & Randy Manese, Lita Benito Glenn, Julie Cagalawan, Lillian Dimla, Cora Coral Reyes, Elvie Adriano and Bette Poblete. Indeed, i couldn’t have pulled it out without your help. Sometime in January 2014, we’ll hold another BIRO/CCPO reunion in Subic Bay or Palawan or wherever the majority of us may suggest or vote for. Till then, feel free to contact us with whatever questions or suggestions you may have. Again, thanks and God bless you all !